Endoscopic Discectomy and Reconfiguration at L5-S1 - Long Term Follow-up. ISASS 19th Annual Conference, April 2019. Anaheim, California. Nano Endoscopic Approach for Central Lumbar Disc Herniations. Poster presentation. The International Society for the Advancement of Spine Surgery in Boca Raton, FL USA | April 12 - April 14, 2017. Removal of Disc Fragments from the Lumbar Spinal Canal Without Normal Anatomy Disruption. Spine Summit 2016. The 32nd Annual Meeting of the Section on Disorders of the Spine and Peripheral Nerves, March 2016. Orlando Florida. Endoscopic Anterior Cervical Discectomy Without Fusion Through a Two Millimeter Opening. The International Society for the Advancement of Spine Surgery Annual Meeting, May 2014. Orlando Florida. Non-Traumatic Approach Through the Ligamentum Flavum for Extruded Disc Herniations in the Lumbar Spine. 30th Annual Meeting of the AANS/CNS Section on Disorders of the Spine and Peripheral Nerves, Orlando, FL, March 5-8, 2014. Successful Unifactorial Treatment of Multifactorial Spinal Stenosis. The Society for Minimally Invasive Spine Surgery, Annual Meeting. September 2012, Miami, Florida. Multifactorial Lumbar Stenosis Treated Successfully with Primary Factor Treatment Only. The 2012 AANS/CNS Section on Disorders of the Spine and Peripheral Nerve Annual Meeting , Mar 2012. Orlando Florida. 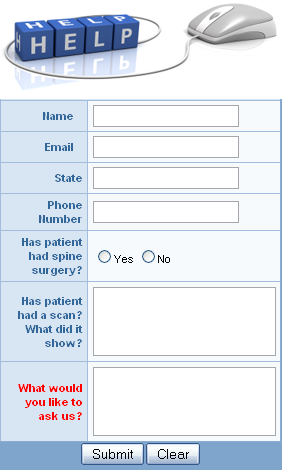 "Lumbar Fusion Candidates" Avoid Fusion: Long Term Follow-up. The Congress of Neurological Surgeons 2011 Annual Meeting, Oct 2011. NON-TRAUMATIC, TRANS-LIGAMENTUM FLAVUM APPROACH FOR L5/S1 EXTRUDED DISC HERNIATIONS. Annual Meeting of the AANS/CNS Section on Disorders of the Spine and Peripheral Nerves, Feb 2010. "Contrast Disc Analysis and Mapping as a Prelude to Endoscopic Lumbar Discectomy." The 14th Annual International Intradiscal Therapy Society Meeting. Phoenix, Arizona. May23-27, 2001. IDET and PED: Benefits of Combination Treatment (Joint Section meeting Feb. 2000). American Association of Neurological Surgeons and Congress of Neurological Surgeons abstract compilation. "Endoscopic Transforaminal Lumbar Discectomy and Reconfiguration: A Postero-lateral Approach Into The Spinal Canal" Surgical Neurology. Volume 49, Number 6. pp.588-598 June 1998. "Endoscopic Transforaminal Percutaneous Discectomy for Recurrent Lumbar Disc Herniation," The Tenth Annual International Intradiscal Therapy Society Meeting. Naples, Florida. May 28-31, 1997. "True Transforaminal Endoscopic Percutaneous Lumbar Discectomy," The Tenth Annual International Intradiscal Therapy Society Meeting. Naples, Florida. May 28-31, 1997. 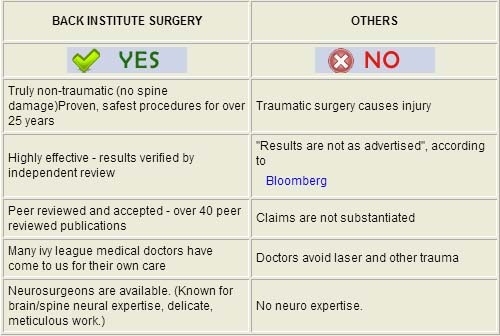 "Non Traumatic Discectomy," Faculty, International Intradiscal Therapy Society Meeting. Amsterdam, the Netherlands. May 9, 1996. "Endoscopic Spinal Surgery," Invited Faculty (taught seminar), The American Association of Neurological Surgeons. Minneapolis, Minnesota. April 30, 1996. Commended for presenting "the surgery of the future". 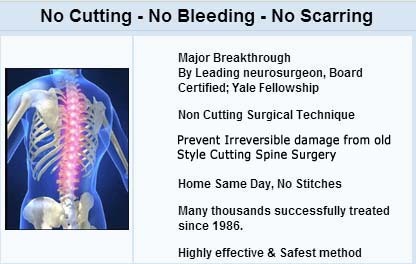 "Endoscopic Transforaminal Disc Removal and Reconfiguration," The 12th Annual Meeting of the Joint Section of Congress of Neurological Surgeons and American Association of Neurological Surgeons on Disorders of the Spine and Peripheral Nerves. Lake Buena Vista, Florida. February 28 - March 2, 1996. "Endoscopic Transforaminal Disc Removal and Reconfiguration," Selected by Joint Section of American Association of Neurological Surgeons and Congress of Neurological Surgeons as best paper for publication. 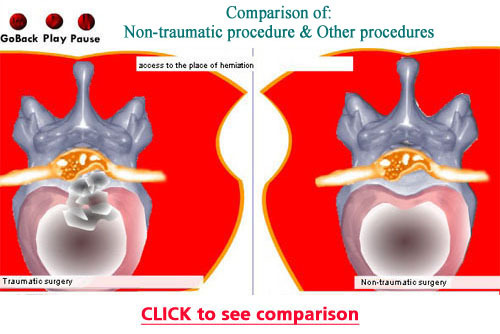 "Percutaneous Transforaminal Non Traumatic Discectomy," North American Spine Society. Washington, D.C. October 18-21, 1995. "A New Superior Technique for Removal of Herniated Lumbar Discs," The Canadian Journal of Neurological Science. Volume 22, Number 2. May 1995. "Comprehensive Percutaneous Endoscopic Spinal Surgery," Presentation, The American Association of Neurological Surgeons. Orlando, Florida. April, 1995. "2.8 mm Endoscopic Comprehensive Percutaneous Lumbar Disc Surgery," Presentation at International Intradiscal Therapy Society. La Jolla, California. March, 1995. Taught Discectomy Workshop - Faculty - UCSD OrthoMed Facility. "A New and Superior Technique for Removal of Herniated Disc: Endoscope and Nucleotome Combination," Presentation to the Joint Section of The American Association of Neurological Surgeons and The Congress of Neurosurgeons. Phoenix, Arizona. February, 1995. "A New Technique for Intra and Extra Discal Percutaneous Endoscopic Lumbar Surgery," Presentation, Annual Symposium and Call for Papers: Techniques in Spinal Surgery. New York City, New York. December, 1994. "Percutaneous Discectomy in the Older Patient (Improved Results with Nucleotome/Laser Enhancement)," Presentation, Seventh Annual Intradiscal Therapy Society Meeting. Aberdeen, Scotland. May, 1994. "New Comprehensive Percutaneous Discectomy Using a Working Channel Scope and Nucleotome," Presentation, Seventh Annual Intradiscal Therapy Society Meeting. Aberdeen, Scotland. May, 1994. "Percutaneous Discectomy Over Age Sixty (Nucleotome With Laser Enhancement)" Presentation, Joint Section on Disorders of the Spine and Peripheral Nerves (A Joint Section of the American Association of Neurological Surgeons and the Congress of Neurological Surgeons). Tenth Annual Meeting. Ft. Lauderdale, Florida. February, 1994. "Percutaneous Discectomy in the Older Patient," Presentation, Second Annual Symposium, Techniques in Spinal Surgery. New York, New York. December, 1993. "Percutaneous Discectomy- Lasers and Fiberoptics," Continuing Medical Education Lecture, National Scientific Conference, (Westside Hospital). Hawaii. July, 1993. "Percutaneous Discectomy- Recent Advances," Continuing Medical Education Lecture, National Scientific Conference, (Westside Hospital). Hawaii. July, 1992. Back Pain and Alternatives to Back Surgery: Percutaneous Discectomy, Lecture Series, Beverly Hills Medical Center, 1989. Back Pain and Alternatives to Back Surgery: Percutaneous Discectomy, Lecture Series, Beverly Hills Medical Center, December 1988. Arachnoiditis, Presentation, Congress of Neurological Surgeons' Annual Meeting, October 1980, Houston, Texas. Benign Brain Tumor, National Critical Care Inst. Journal, Vol 5, Number 11, Nov. 1978. Subdural Hematoma, Chronic, National Critical Care Institute Journal, Volume 5, Number 9, September 1978.